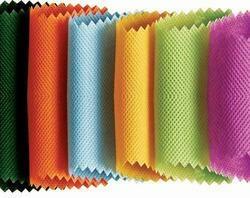 We are a leading Manufacturer of non woven fabric from Delhi, India. Monitoring most recent business sector advancements and offering prevalent arrangements in like manner we show subjective gathering of Non Woven Fabric. Accessible structure us in different hues they are utilized to make different items and are manufactured according to industry standards by qualified experts. We check the whole the arrangement on a few perspectives and offer an imperfection unfenced at moderate costs.